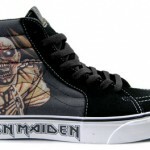 Vans has rolled out a shoe based on the IRON MAIDEN artwork for “The Trooper” from the band’s 1983 album “Piece Of Mind”. 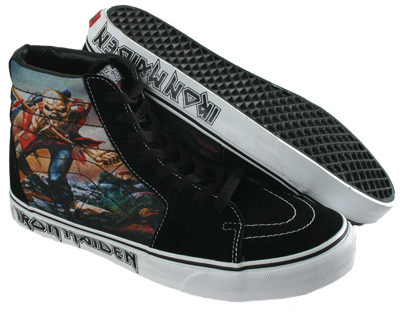 You can charge into battle and live to skate another day in this classic Sk8-Hi, featuring original artwork from the single’s cover. 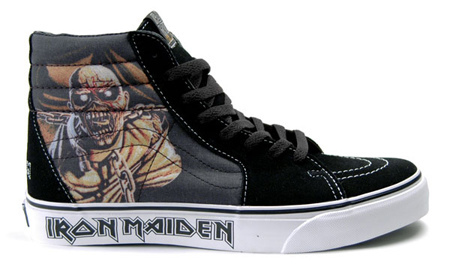 Also available as slip-ons.